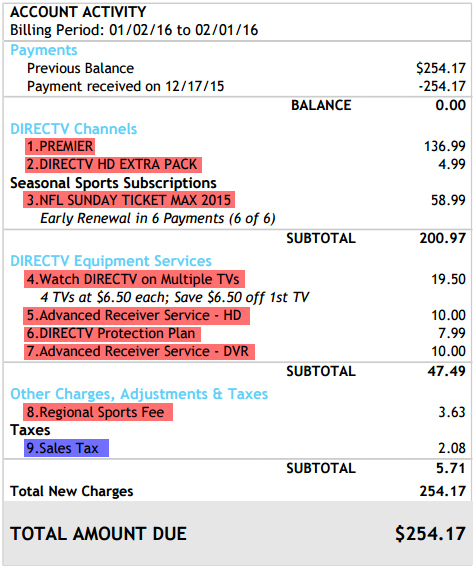 Tired of High Monthly TV Costs and Hidden Fees! 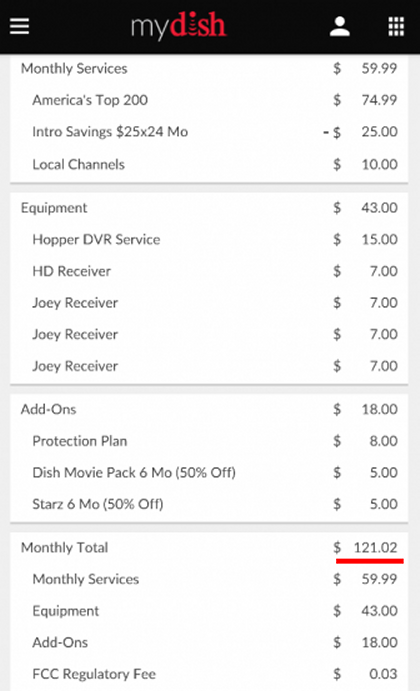 Do you currently subscribe to one of those small dish services or cable? Is your monthly bill continuing to increase? Are you paying extra for network programming? 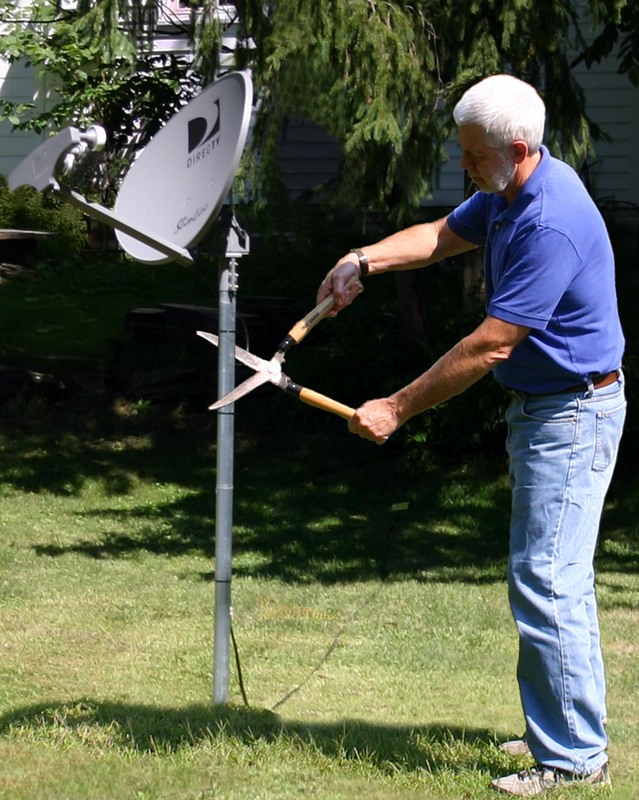 It’s included free with the Rainier C band Satellite Receiver. Time to dump the little monsters and get the best hidden secret out there Rainier’s C band television. 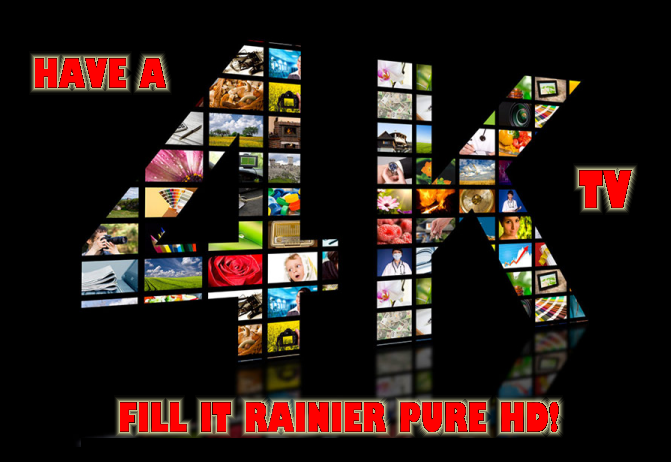 You don’t only get the one and only TRUE PURE HD picture from Rainier. There are NO surprises or hidden fee’s.You own your equipment, there are no contracts or early termination fees. The best entertainment here today, and more is right around the corner with our new expanded ADD-ON subscription ala-carte services and packages. 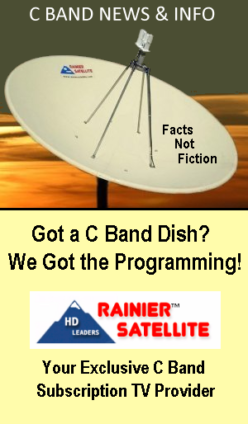 AND TAKE CONTROL OF TV AGAIN WITH RAINIER SATELLITE! Basic HD starts at $10.42 a month. 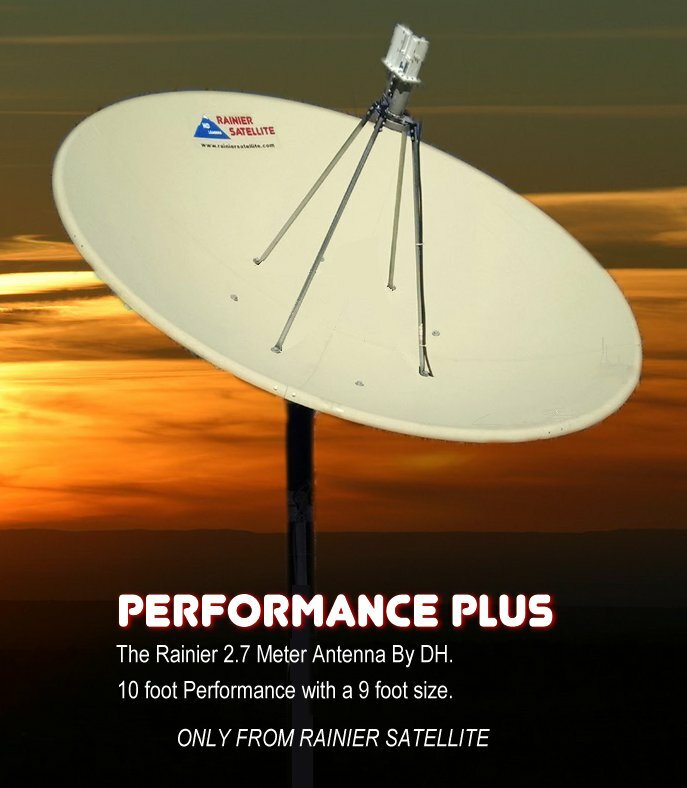 Rainier Satellite the HD low cost leaders. Posted on March 25, 2017 March 27, 2017 Author rainiergroupCategories Rainier NewsTags 4DTV, 4DTV Shutdown, 4k TV, att, C Band HDTV, C band programming, c band provider, c band satellite, cable tv, charter cable, directv, dish network, fios, flex pack, fta, hd c band programming, HyperMegaSat, NPS, powervu, programming center, rainier satellite, Ricks Satellite, Satellite Guys, satellite programming, satellite receivers limited, Satforums, skinny bundle, skyexpress, SkyXpress, SRL, tek2000, time warner cable, Titanium Satellite, TVROSAT, XfinityLeave a comment on Tired of High Monthly TV Costs and Hidden Fees! Attention Rainier Subscribers! Support area information expanded. To help serve our subscribers better. We’ve been working hard to simplify things for you. We been updating existing documents, and adding new documents and video footage. For many questions and technical issues please consult our expanded database for answers prior to calling our tech support department. 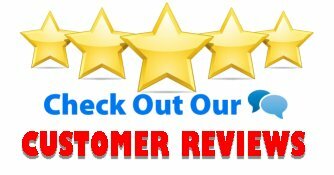 When installing new or upgrading dish equipment Rainier recommends using genuine Rainier approved parts for your system. Knockoff or low priced accessories are prone to problems. Posted on March 20, 2017 Author rainiergroupCategories Rainier NewsLeave a comment on Attention Rainier Subscribers! Support area information expanded. Get the Flicks from Rainier in Pure HD. Our ADD-ON Movies Pack is coming. Details Soon! Posted on March 12, 2017 March 12, 2017 Author rainiergroupCategories Rainier NewsTags C band programming, hd c band programming, movies C BandLeave a comment on Do You Like Movies? Weak signal? Could be your dish condition. One thing taken for granted is that your dish is fine. This could be true but many times is far from the truth. You need to ask yourself a few questions. How old is my dish? How many hailstorms and bad storms has it gone through? Has the dish been hit or damaged in anyway? The next step is too look at the dishes surface itself. Are you missing panels? Are there dents in the mesh? Are there holes or tears in the mesh? Are panels popped from parabolic shape or distorted? All of the above will achieve the same results Weak or no signal. Missing, dented, or hail damage panels. Major signal loss. Deformation to mesh causing incorrect focus of signal. Your dish is a collector of weak signals coming from some 22,000 miles above the earth. The accuracy (shape) of the parabolic curve plays a very important role in focusing these signals into your feedhorn and LNB to collect and amplify these signals for later processing by your receiver. When panels are imperfect the signal misses the feedhorn and now your 10 foot is working as a 6 foot. The next step is to see if there is anything you can do to repair the panels. Sometimes some auto body hammers and tools can flatten the surface enough where you can refocus the signal back into the feedhorn where it belongs. Other times no matter how much you try it’s a lost cause. What do you do then? Its time to go dish shopping. With many choices that use to be available back in the day not there anymore your choice is limited. One thing to be weary of when dish shopping is throwing away good money just to save a buck. There are some low cost Chinese built mesh dishes on the market that are nothing but junk. Their low cost can make them seem attractive, but once received and assembled the horrors just begin. There are damage panels, parts don’t go together right, once assembled the parabolic curve is egg shaped. The mounts are weak, and don’t survive even moderate wind load well. Once assembled signal is weak or non existent no matter how well you try to tune it due to surface and manufacturing anomalies. Purchasing this could put you in a worse condition then you were in originally with your old dish. 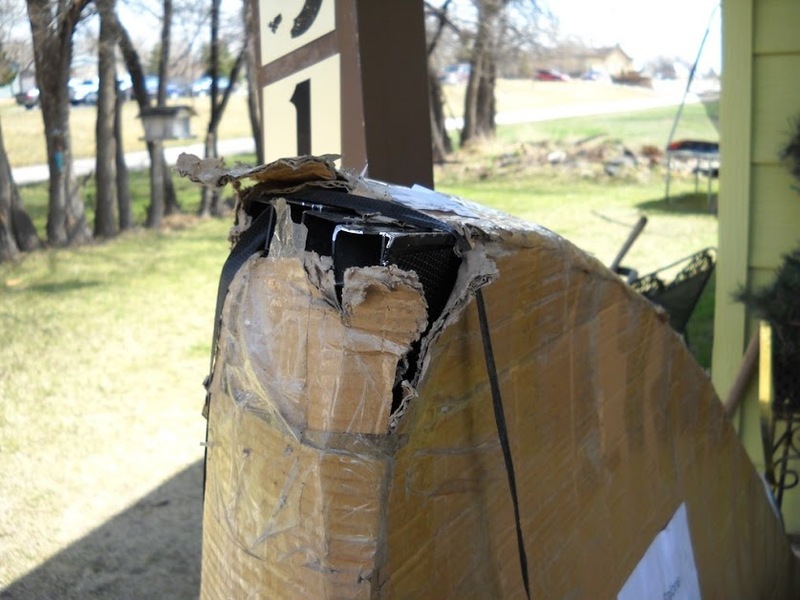 Low quality packing of Chinese mesh dish panels cause damage in shipping. You end up with distorted panels that do not conform to proper parabolic curve. Panels mesh torn and deformed on low cost China import dish. This will cause signals to reflect everywhere but where they should. 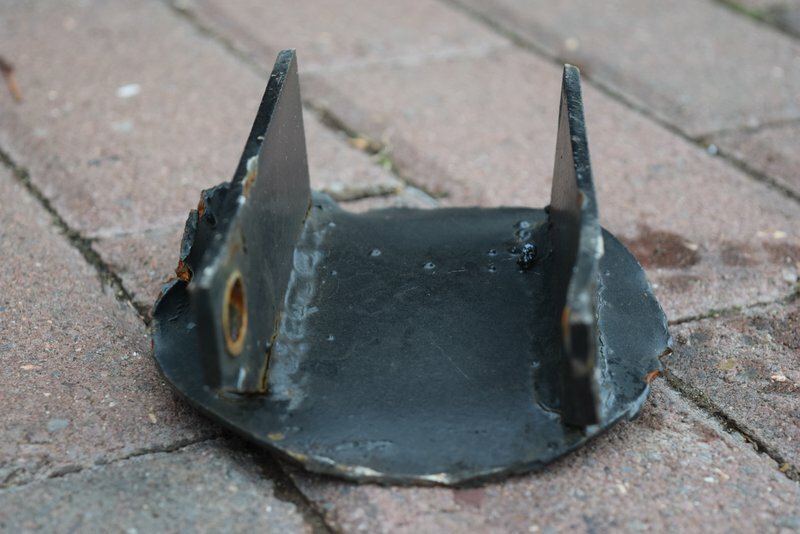 Chinese manufactured dish poorly designed thin mount cannot survive high winds. Notice the paper thin metal that can twist under wind load stress. 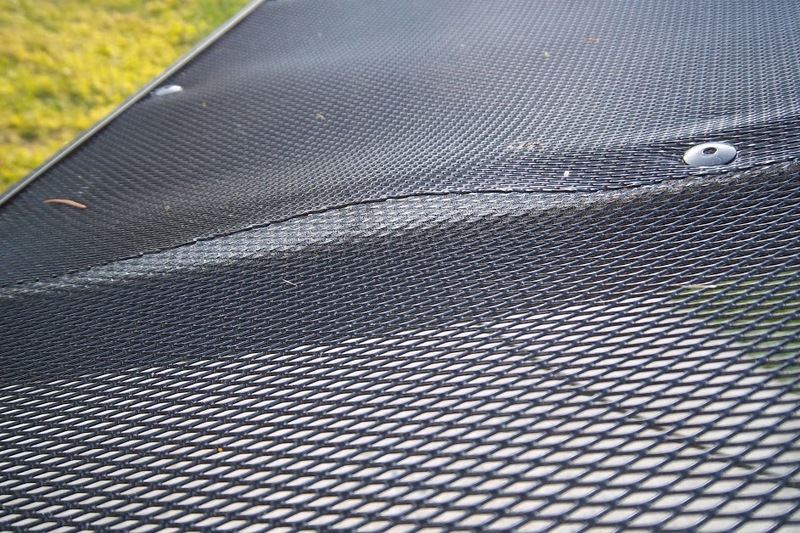 Mount damage incurred from 35 mph winds with low cost Chinese made mesh dish. A good dish and mount should survive 95 mph wind gusts without damage. Being forewarned of you get what you pay for. Where should my money be spent? Rainier has the solution. 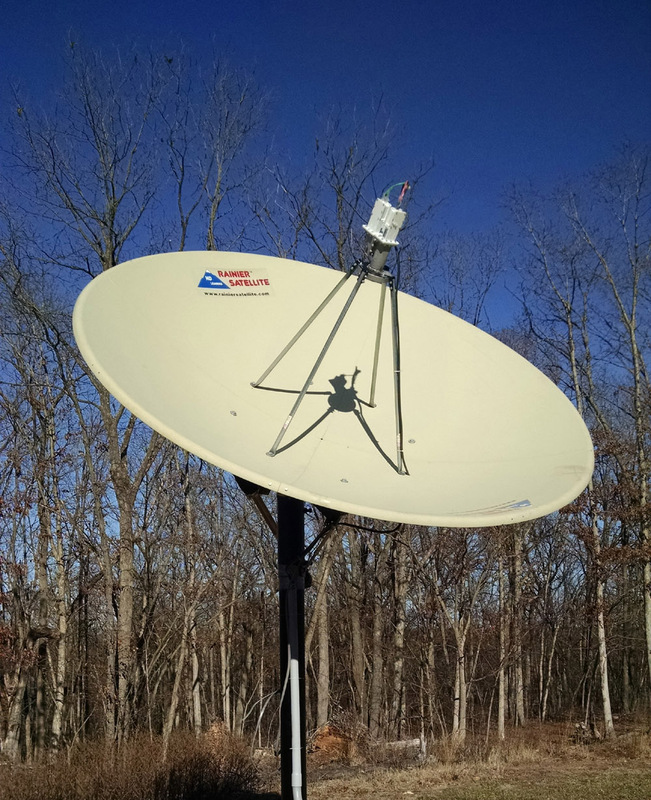 We carry our base 9 foot 4 piece solid dish designed and built by D&H antenna. The 9 footer is built in the USA and shipped professionally in wooden crates to prevent damage in shipping. It’s assembly is simple as all panels are marked where they should go. This maintains excellent parabolic curve. Rainier Satellite’s Dish panels as delivered. Excellent condition. 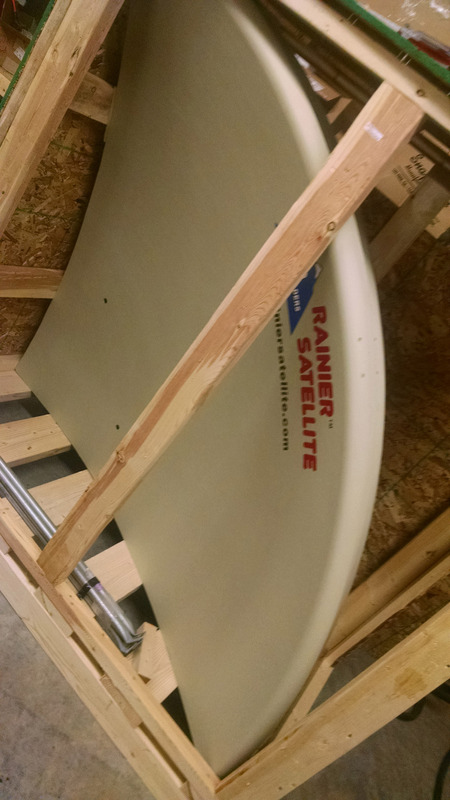 Rainier Satellite’s solid built dish mount. 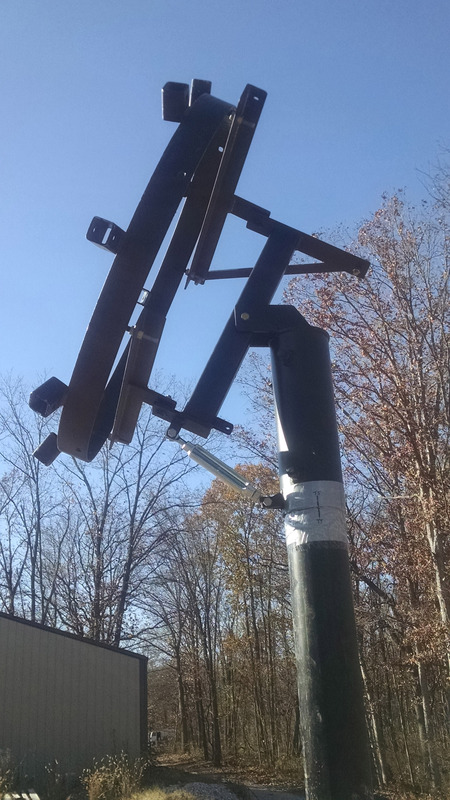 Notice the thick heavy duty steel and multiple attachment points. High winds? No worries. 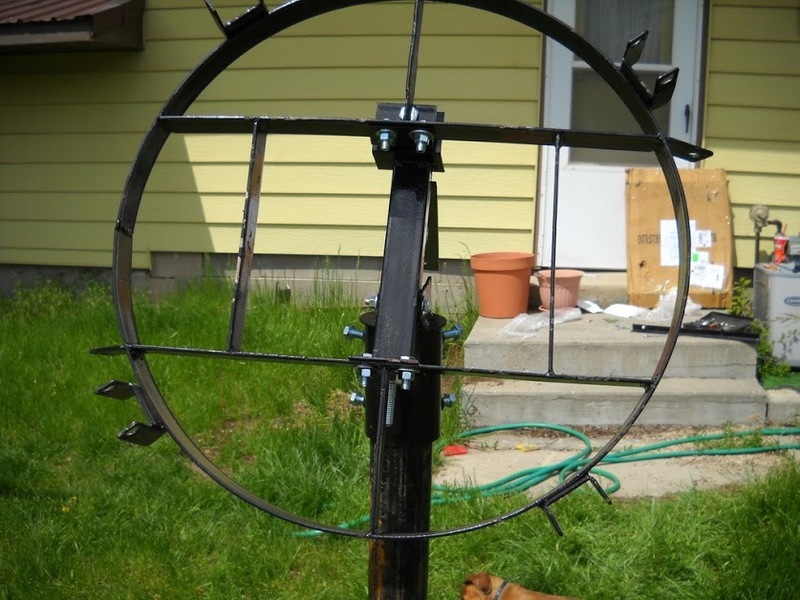 Simple matched assembly of panels for perfect parabolic shape. 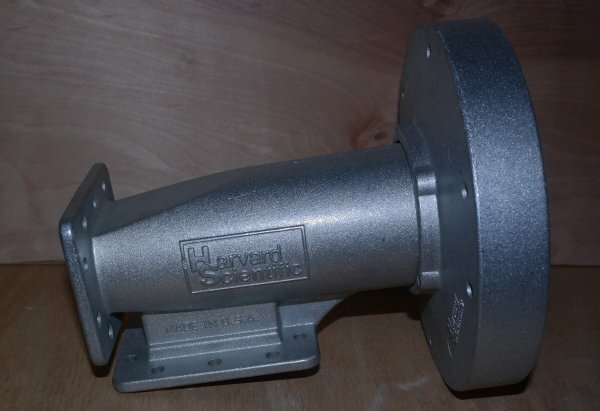 Included at no extra cost is the Harvard Scientific TUNED ortho feedhorn. 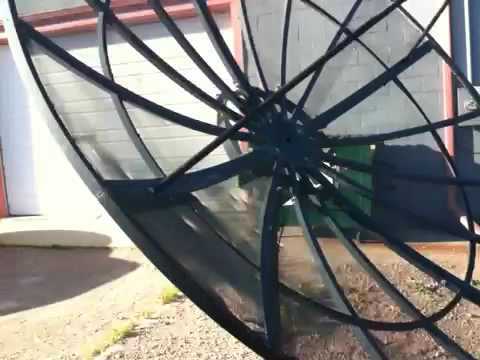 Assembled Rainier Satellite C band dish antenna. Posted on March 11, 2017 March 12, 2017 Author rainiergroupCategories Rainier NewsTags 4DTV, 4DTV Shutdown, 4k TV, C Band HDTV, C band programming, C band Satellite Dish, cable tv, directv, dish network, HyperMegaSat, rainier satellite, Ricks Satellite, Satellite Guys, Satellites-Galore, Satforums, Skyvision, SkyXpress, tek2000, Titanium Satellite, TVROSATLeave a comment on Weak signal? Could be your dish condition. Attention Rainier Satellite Clients. Support Center has Answers to your Questions. Do you have a question or issue with your Rainier Satellite self installation of equipment? Do you have low quality numbers or have other issues? Most help and answers can be found consolidated in one place. Please visit our expanded comprehensive online support center, its open 24 hours. Consult our support center first to resolve your issue. If for some reason you can’t find an answer there or need additional help we offer a free phone help desk for active subscribers. You can call our technical support help desk. Live calls are taken and returned during normal business hours. After hours please leave a message so a tech support member can return your call. Note for phone support: There is no fee for active customers to use our phone support system. If your not a Rainier customer needing tech support a service fee per indecent will be charged before we can help you. For general questions please call customer service. Posted on March 7, 2017 March 7, 2017 Author rainiergroupCategories Rainier NewsTags Rainier tech supportLeave a comment on Attention Rainier Satellite Clients. Support Center has Answers to your Questions. Ohio residents are in luck. The Satellite Shop of Akron Ohio, is now an approved Rainier dealer. They are selling Rainier Satellite receivers and more U.S. wide. The Satellite Shop has been around for many years and sold c band way back when big names like Del Jose’s Skyvision were still in the c band subscription business. The Satellite Shop also can hook you up with a local dealer through their large dealer network for installs and updates to your system. We are proud to welcome The Satellite Shop as part of the growing Rainier Satellite dealer family. Feel free to give them a call to help you with your Rainier Satellite TV experience.